Home › Hill Running › 3 miles with some small hills. 3 miles with some small hills. As my last post discussed, I have been looking at how to run hills. Going up them hasn’t been a problem, as that doesn’t change too much between minimalist shoes and traditional running shoes. 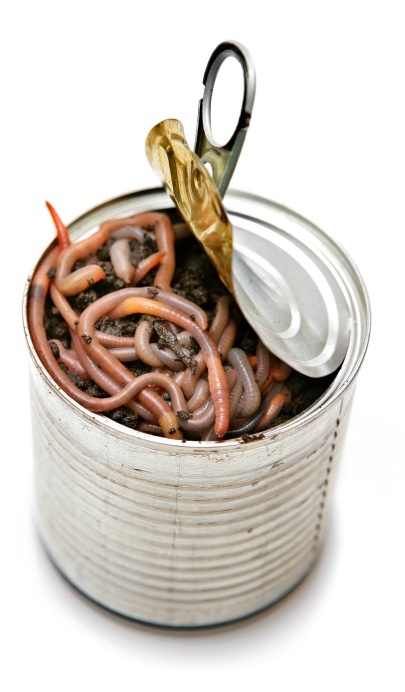 But downhill… Well, that’s been a whole new can of worms. I went for a nice run last evening. Due to my recent injury rate, I am no longer worrying about how fast I run. My new focus is on trying to run injury-free, instead of trying to run faster/further. I think that this may help me to be running MORE, and enjoy it more at the same time. So last night I headed out with the plan of doing 3-4 miles, depending on how my hip felt (I had inguinal hernia repair in January, and it has recently been bothering me more). 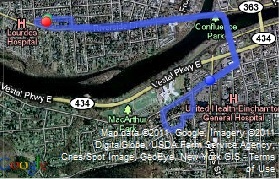 I headed across a nice walking bridge we have in downtown Binghamton, and headed over to the south side of town. I live on the west-side, and there is a severe shortage of hills – an issue that the southside does not have. I ran over by the elementary school, and turned up the hill. I have enjoyed hill running since highschool (thanks Mr. Highland!) and was looking forward to trying out the lessons in running down hill (See my previous post). Let me say that the advice I got on the Vibram FiveFingers discussion board on FaceBook was dead on! This was the missing piece! I FLEW down the hills that I tested it on! My little feet (is a 9 1/2 little?) were going as fast as can be! It was easy, comfortable and fun! THIS is the way to run downhill in minimalist shoes! Standing upright, short & fast steps, bend your knees and enjoy it. Amazing that it was so difficult to find information on this. Hopefully I have put enough key words in this posting so that if someone else is trying to figure out” How to run downhill in Vibram Five Fingers” or other minimalist shoes – it pops up on google! Thanks for the advice – but you didn’t mention what part of your foot is striking first when running down hills? Cheers.